A good new variety of compact Lavender with intensely fragrant grey-green leaves, and lots of flowers from June to October. An aromatic compact variety of Lavender, with rosy pink flowers in July to September. A Lavender with toothed green-green leaves and attractive violet-blue flowers June to September for a warm garden and good house plant. A later flowering Lavender with silver woolly evergreen leaves and spikes of lilac flowers in late summer. A highly aromatic sub-shrub with dark purple flowers in midsummer. A compact variety of French Lavender with fragrant grey-green leaves, and flowers in early to mid summer. 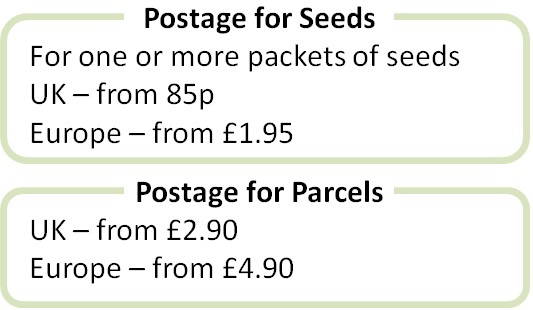 A selection of four packets of Lavender seeds for containers or the garden.